Tribe, Astro’s regional video streaming service has expanded its footprint in Indonesia via a partnership with Telkomsel. The partnership leverages on Astro’s strategic partnerships and joint ventures to give Tribe a wide variety of content IPs. This satisfies the demand for fresh and differentiated vernacular content across the ASEAN region. 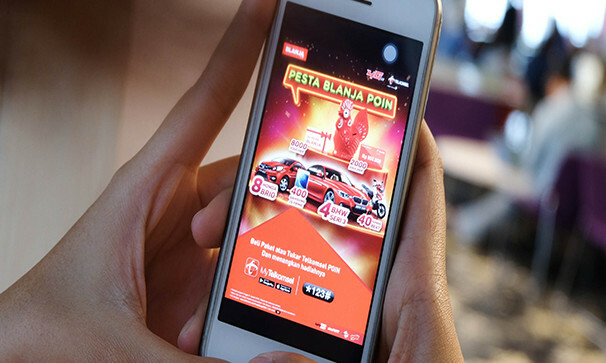 Iskandar Samad, Tribe CEO, added that this will help Tribe differentiate against competitors and drive pay behaviour which is less developed in these markets. ASEAN originals have helped to increase the monthly average time spent on Tribe by 14% to 139 minutes in 2018 versus 2017, the statement read. This partnership will also enable Telkomsel’s VideoMax subscribers to stream Tribe’s original content for free. Meanwhile, the partnership will give Tribe the opportunity to tap into the telco’s millions of mobile data users, the statement said. Under the partnership, Tribe’s content will also be available on Telkomsel’s VideoMax package, bundled with free streaming. This is to allow more Indonesians to watch content at any time and place. “We believe there is a huge opportunity for ASEAN original IPs with stories that resonate for a bigger audience through better production quality, higher budgets and co-productions with like-minded regional partners in Indonesia, Thailand and Philippines,” he added. “Telkomsel welcomes this Tribe cooperation as part of our strong commitment to deliver the best digital entertainment experience through streaming TV and movie services to customers,” Crispin Tristram, VP of digital lifestyle at Telkomsel, said. Tribe is currently available in Indonesia, Philippines, Singapore and Southern Thailand growth in total installs to 3.1 million and a growth of 78% yoy to 500,000 monthly active users through partnerships in each country. “Tribe is actively looking to work with like-minded partners to not only create content and expand its reach, but to also deepen its engagement with the community through social and local festivities with affiliate deals that its users can enjoy,” Iskandar Samad said. "While the country and its people might be digitally digitally savvy, its space constraint makes it easy to grab a majority share ..